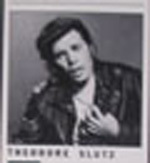 TTag: English 1981 ← Please click here. Tag: English 1982 ← Please click here. There were beautiful cherry trees (sakura) in Vancouver. Many of them were double-flowered. I personally prefer cherry trees bearing single blossoms. The following day I went to a party that took place in the flurry of falling blossoms at Mr. Ōyama’s workplace at UBC (British Columbia University). The firewood was burning brightly in the fireplace. It was glorious. 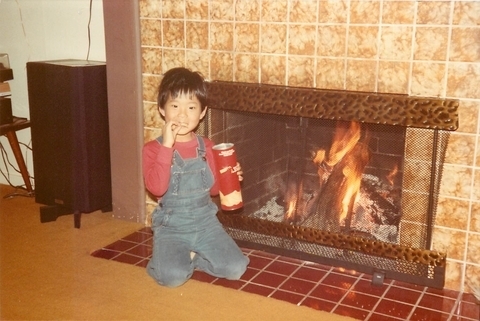 The smell of the firewood was distinctly different from the smell of the flames and firewood I remembered from my childhood, when seven of us – us children, our parents and our grandma – had heated water for bath in a small hearth of our old Japanese house. The smell emanating from mixed logs of fir tree, Eucalyptus, and pine caressed warmly my face. I went downtown and broke down a 100-dollar travel check. 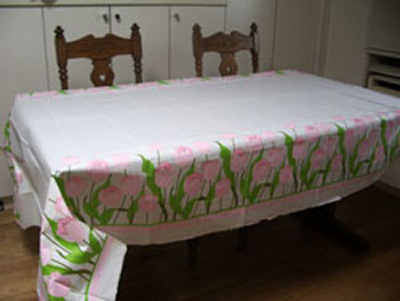 While at it, I also bought a paper tablecloth. I had already acquired a definite weakness for buying unnecessary things. 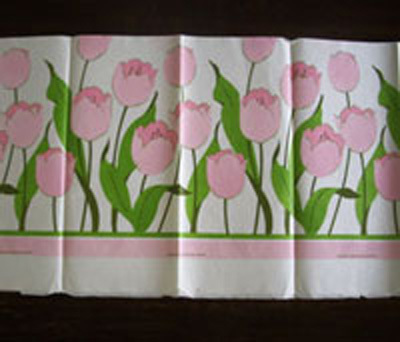 I’ve sent it to Japan, and now a cute paper cloth with tulip pattern is slumbering as a “memento” in my desk. In a record shop I found a record sold to commemorate the 25th anniversary since Gould’s debut. The joint performance with E. Schwarzkopf and a rare sonata by Scarlatti is on this record. 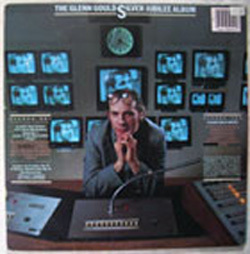 An actress is displayed on the record jacket for dramatic effect Gould is so good at. In a jest I have learned in Canada is typical for Gould, pictures of someone’s bad attempt to look like Nietzsche and a young lad dressed in black leather jumper are also shown. That was actually Gould in disguise, but I hadn’t noticed it for a long time. By the look of the fingers and hands in the photos, I finally managed to figure out that was Gould fooling around. Mr. Ōyama loved Nana Mouskouri’s “Season in the Sun”, and he was always listening to it. The two of us shared a tendency towards depression. I guess he’s talking about a person from the song. I like poetry by Sylvia Plath. It’s easier for me to understand people wish for death. One day, Mr. Ōyama took me for an airplane ride. The Cessna is soaring up into the sky. And yet, we could die if Mr. Ōyama who is piloting the plane would let go of the control system. However, we arrived safely to the San Juan Island. I ate a delicious ice cream with natural vanilla flavour. Her words made me feel as if I did something wrong. The nature around Vancouver is, in a word, splendid. The Ōyamas live in Barnaby city east of Vancouver. Just walking around the neighbourhood of the house in Barnaby makes me feel as if I were in a natural park. I went to Sears and to the supermarket, making first steps towards enjoying my life in Canada. At any rate, everything is big and wide – the shops, the nature.